We’ve covered some great hair-related stories here before, but rarely do we get the chance to discuss a true pioneer of the genre. 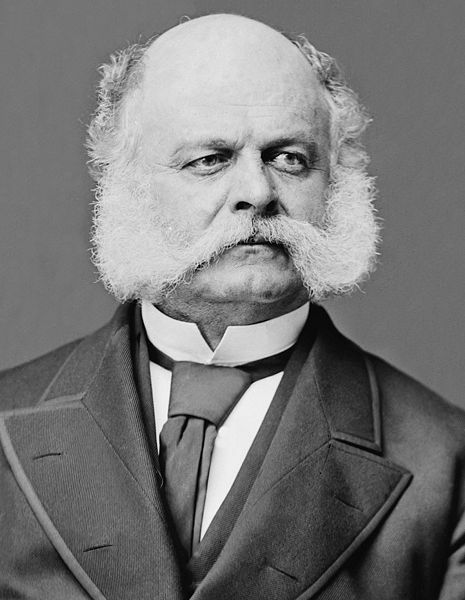 He was a Union Army general during the Civil War, albeit with a mixed resume’. Aside from being the ambassador of a cool, timeless historical hairstyle, Ambrose also was quite a likeable fellow in the military. He was great at making friends, and he smiled a lot – you know this must have been A LOT because who notices smiling frequency? – and he apparently remembered everyone’s name. 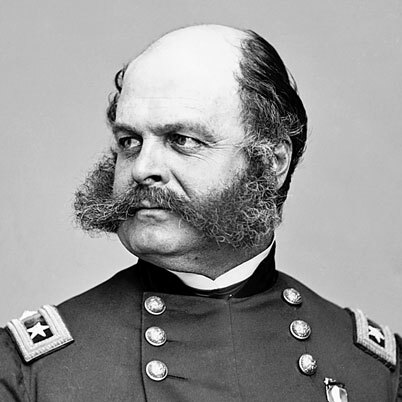 The funny thing is that Ambrose Burnside knew this, and twice turned down command of the Potomac Army, needing to have his arm twisted before he reluctantly agreed. Those in the know described him as “a simple, honest, loyal soldier, doing his best even if that best was not very good,” and his military leadership suffered due to his extraordinary modesty. Still, the guy had a very impressive life, and in only 57 years he commanded an army, served a full 6-year senatorial term, and 3 years as governor, and made a lasting cultural imprint. Oh yes, that. You go, Ambrose! i love the descriptions of him as much as i love his facial hair. he was a commander of the side burns, that’s for sure. I know. I was so excited when I was reading up on him. So much good material, and such an amazing character. It’s impressive to have a hairstyle named after you. I believe there’s a beard called a “Van Dyke” and a haircut named “The Rachel.” Any others? From Starburns to Burnside, I think we can safely say this blog has entered the internet’s Top 79 sideburn related websites. Party time! I didn’t even think of making that connection. You’re a clever Finn, my friend. This post made me miss Starburns. And Troy. “Set phasers to love me!” Sniffle. I know! Such sadness! Hopefully looking at Ambrose again can bring a smile to your face!